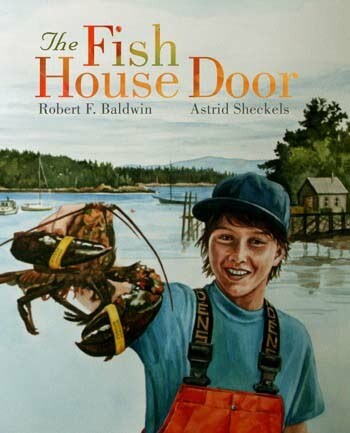 The Fish House Door by Robert F. Baldwin is a vivid glance at small time life by the shore in Maine. The story has surprising depth for a children's book: it explores moments of quiet companionship between father and son, as well as a gentle message about what defines beauty and value. In it, a young boy helps his father, an experienced lobster man, in their family business. They work on their own dock, and spend time maintaining their equipment as well as catching lobsters. On the dock, a Fish House holds their tools, and over time the Fish House door has acquired the patina of weathered wood accented by the odd brush of leftover paint and scribbled notes. As an everyday object, it became nearly invisible to them. And yet, when a wealthy tourist catches sight of the door, he recognizes the iconic value as a decorating item-something unique with a distressed finish that would appear stylish in a city loft. Despite the need for money, the boy and his father realize that family history is contained in the notes and colors of the door. They recognize it has a value beyond money, and now that it is pointed out to them, they come to appreciate its beauty as well. They decline to sell it, despite the urgings and generous offer by the tourist. The story is sweet, unique, and never gets preachy. A major shout-out is in order for the illustrations of Astrid Sheckels. She bases her paintings on actual photos, which is significant, as it creates images that are more true and detailed than many children's books. The expressions on the faces look real, not an approximation. It ties in well to the story of the dock and the sea, and her colors and composition are gorgeous. Instead of flat depictions, every crease, chip, shadow, and bit of woodgrain is revealed. Lastly, this is from Islandport Press, so it's several steps above a typical childrens book. I fell in love with their books when I read Dahlov Ipcar's The Cat at Night, a gorgeous edition that is of heirloom quality. The heavy duty archival paper, the matte pictures, and the feel of their books lasts through many readings and will serve as something that I can pass on to my grandkids. The Fish House Door is no different. Islandport puts more quality into their product than most of the mass-produced titles I've seen. 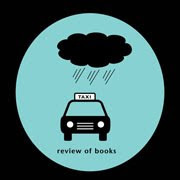 And yes, this was a review copy, but I was writing about their books long before I was invited to review for them. As a matter of fact, The Cat at Night is my go-to baby shower gift, because it's suitable for any small child. In the case of my toddler, he enjoys looking and discussing the picturess, as at three-years-old, we aren't yet to the point of reading all the text yet. We create our own stories based on the illustrations, and as he gets older I'm sure he'll enjoy the story as much as I did. For other children, I'd think that ages 5-10 would be especially prime for the book in terms of comprehending the meaning behind the story, and relating to the child in it (who appears to be 10-12 years old).